In the morning, the songs of the birds and the light through the curtains wake us up, the new day has come! 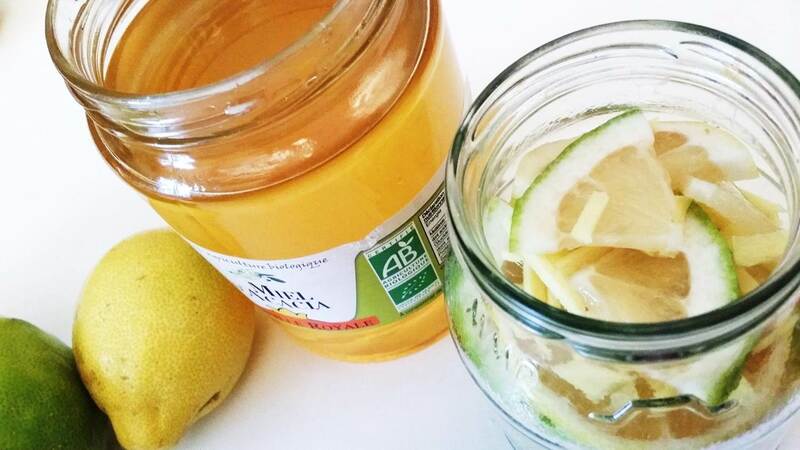 Let's get up, prepare organic tea with honey and lemon. 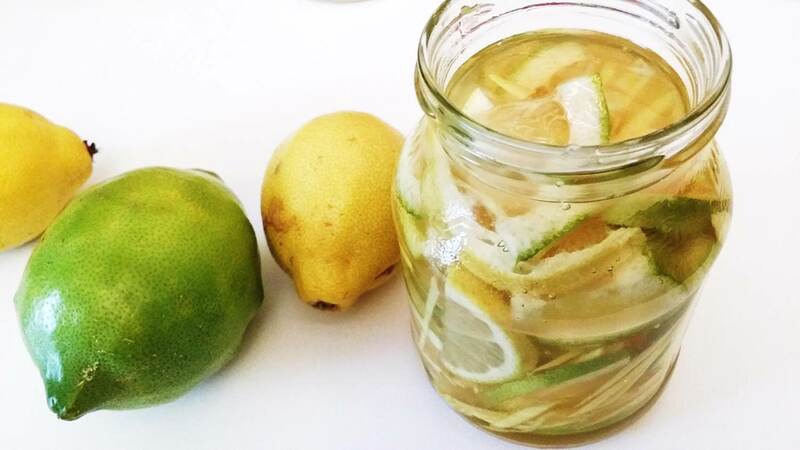 Let's put the honey and lemon juice in hot water, stir it. After a cup drunk, the whole body is awake, it's very nice! 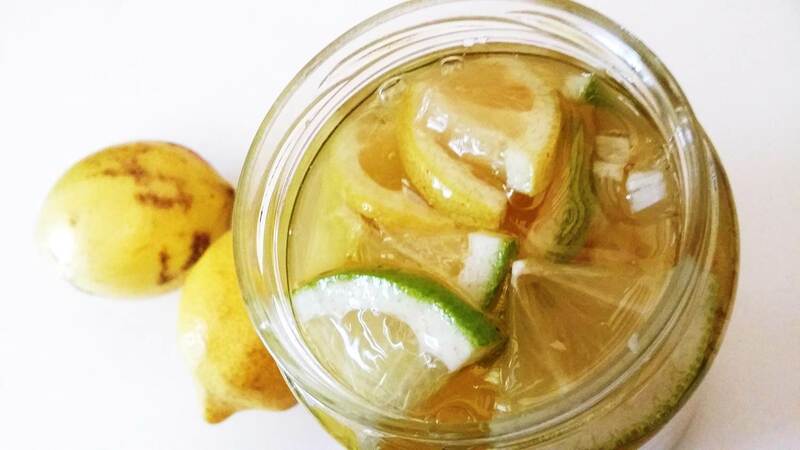 Organic tea with honey and lemon is the favorite recipe of our breakfast. A few days ago, I saw another practice in my favorite reality show TV "Chinese Restaurant", it looks very tempting, I'm willing to try it. 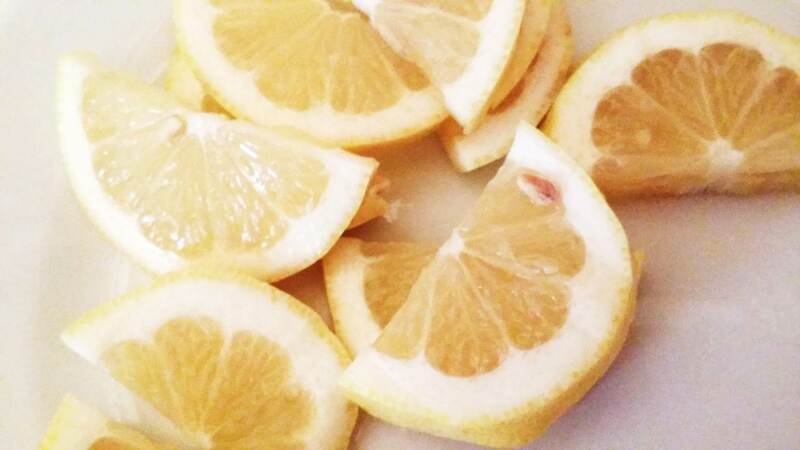 1, Start cleaning the lemons. 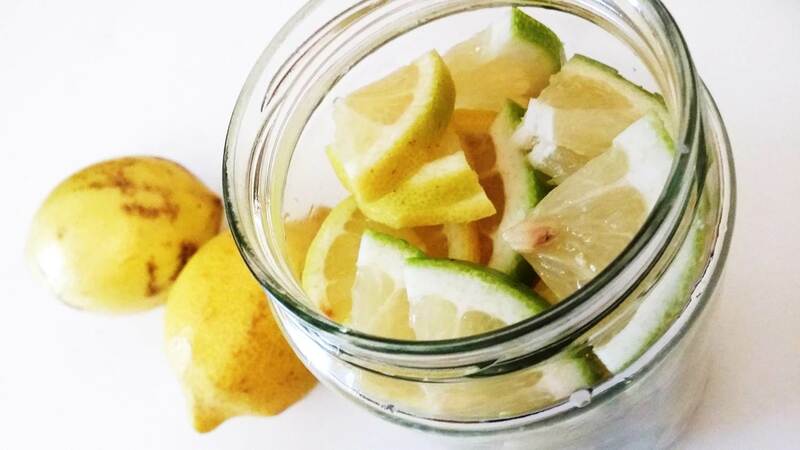 Put salt in water, stir evenly, soak the lemons for a few minutes, then thoroughly clean the lemon skin in water. That's my treasure. Clear like crystal, they are so beautiful! Choose one large and one small. 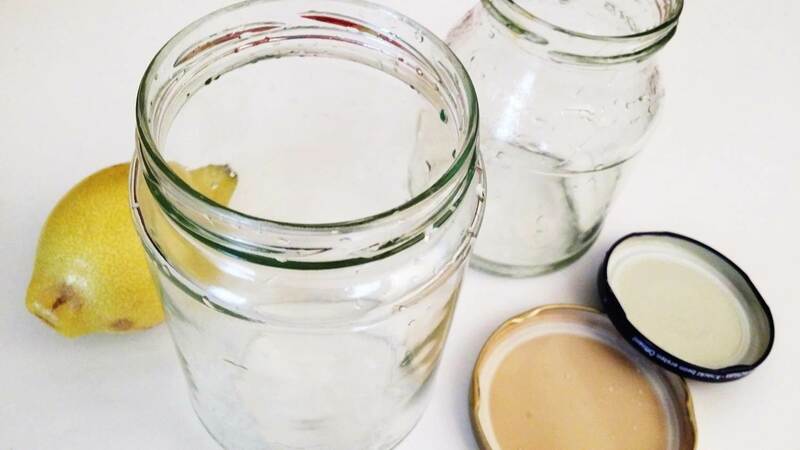 3, Soak the pots in warm water, about 10 minutes, gently remove the labels from the pots. Thoroughly wash the pots inside and out with warm water. Dry thoroughly so that no water remains in the pots. 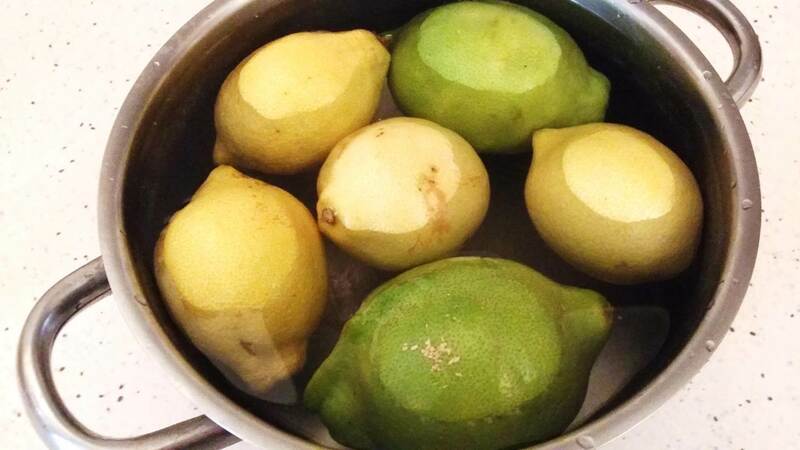 4, Clean lemons and ginger thoroughly and dry them. 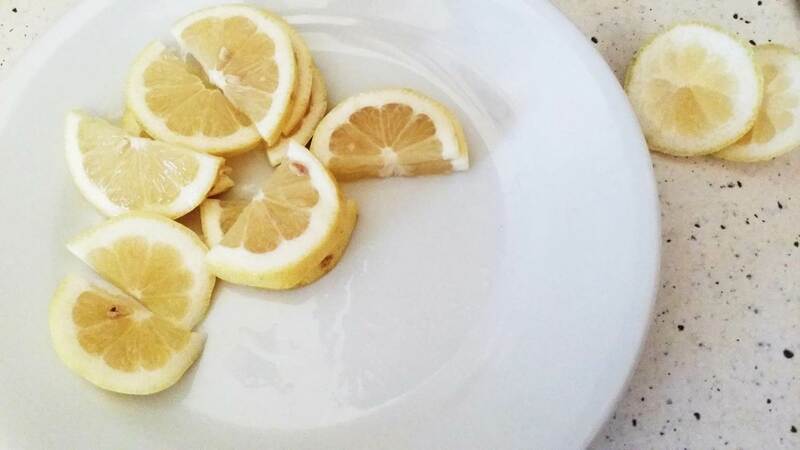 5, Slice the yellow lemons to about 0.3 cm thick. 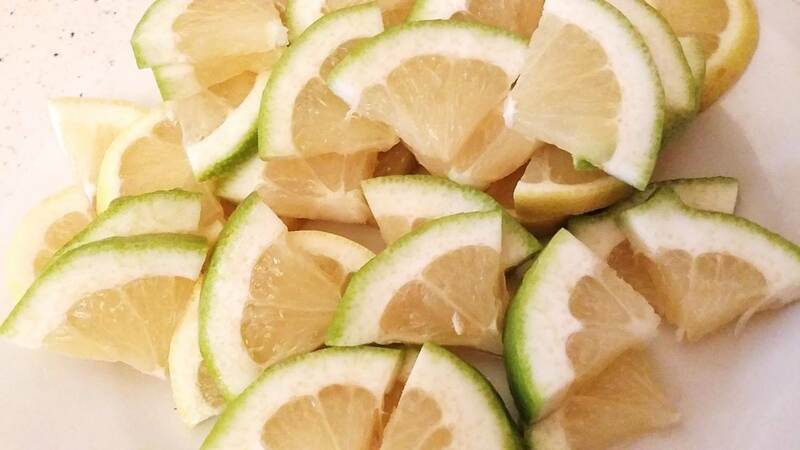 6, Cut each slice in half. 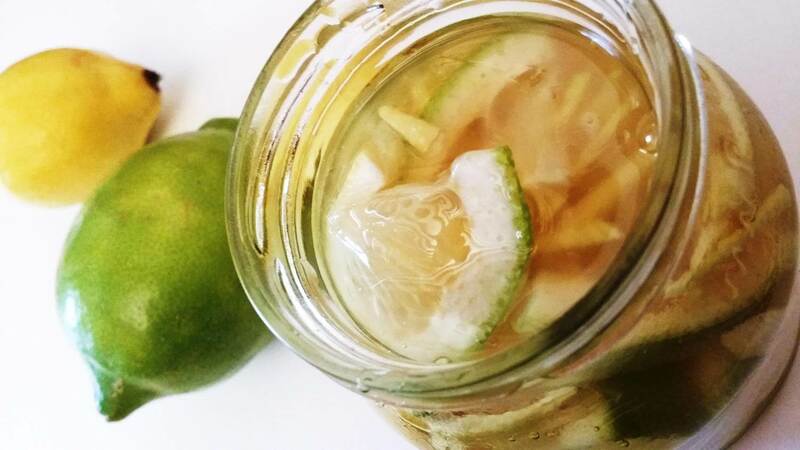 7, Continue to cut the limes. 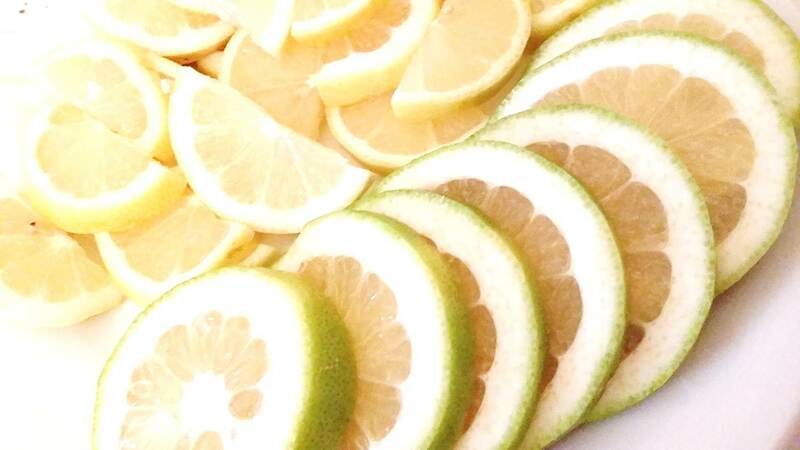 Small slices of lemon fan are ready! 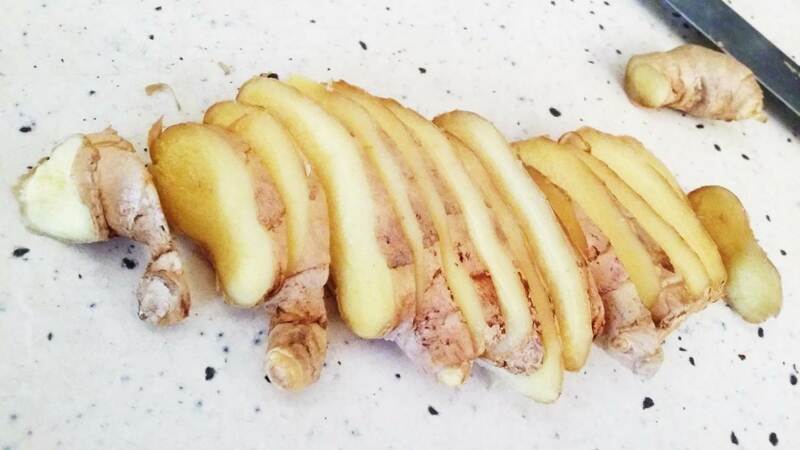 8, Prepare the ginger. 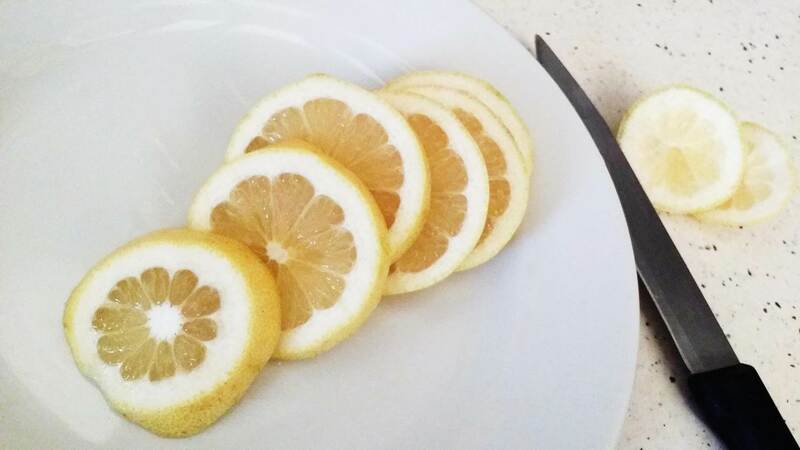 Cut into slices. 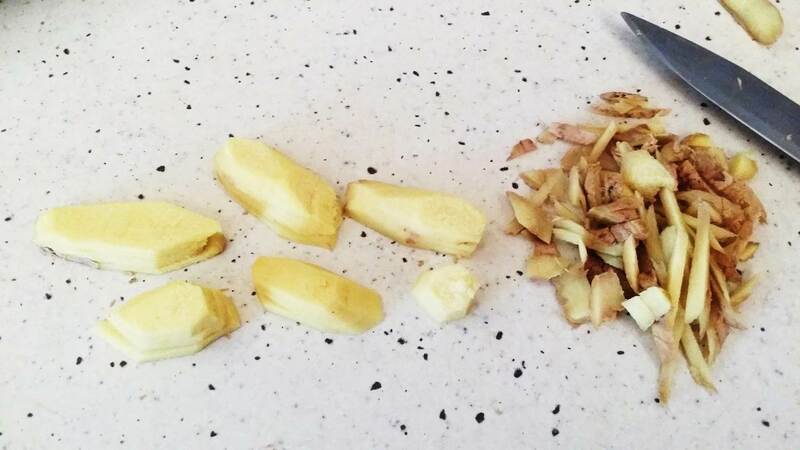 9, Remove the skin from the ginger. 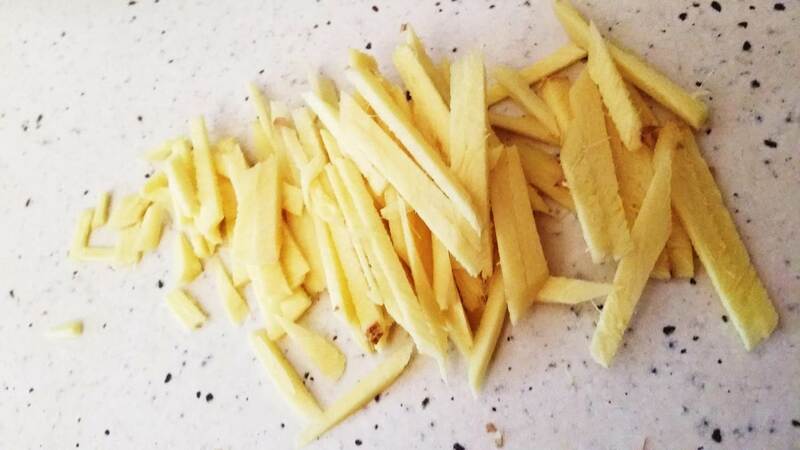 10, Cut the ginger slices into strips. 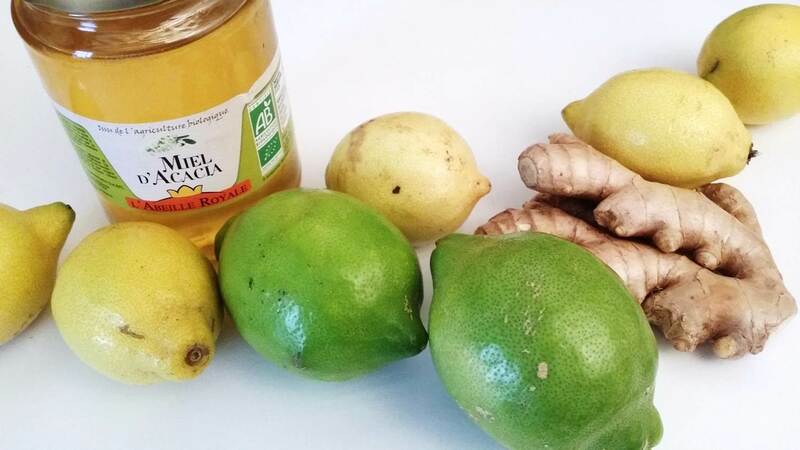 11, Prepare our first pot of organic tea with honey, lemon and ginger. 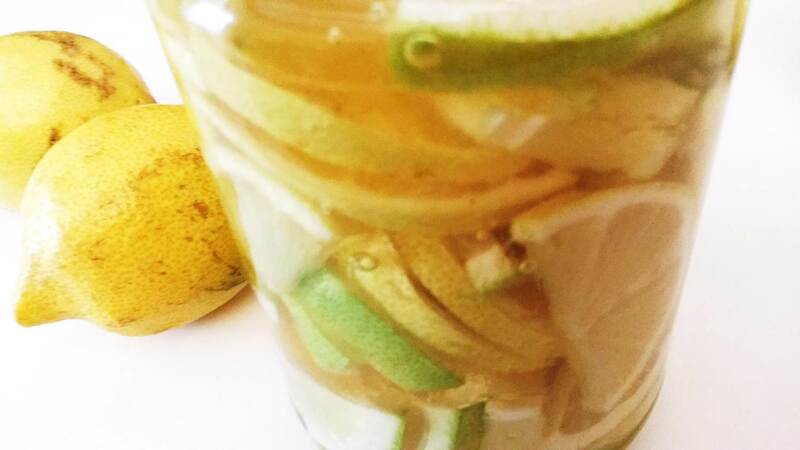 Put the lemon slices and ginger slices in the pot. Fill it well. 12, Prepare the Organic Honey. Acacia honey is our favorite. 13, Gently pour the honey into the pot until it is filled. Use a spoon. 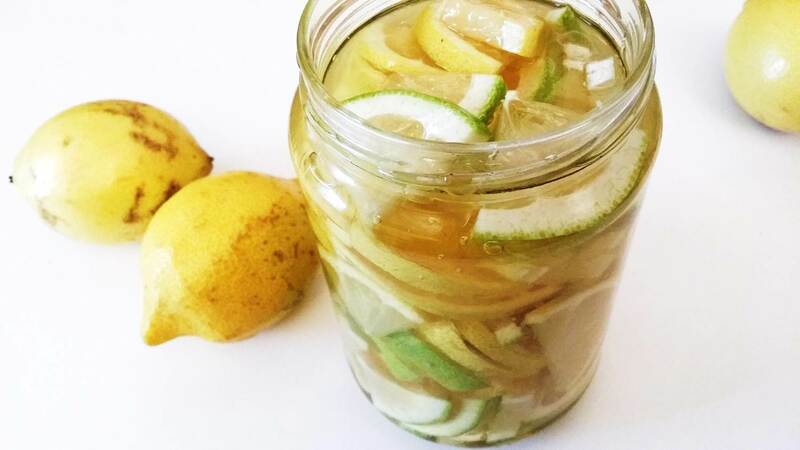 Make sure that the lemons and ginger are well soaked in the honey. 14, Start preparing the second pot without ginger. Organic tea with honey and lemon. 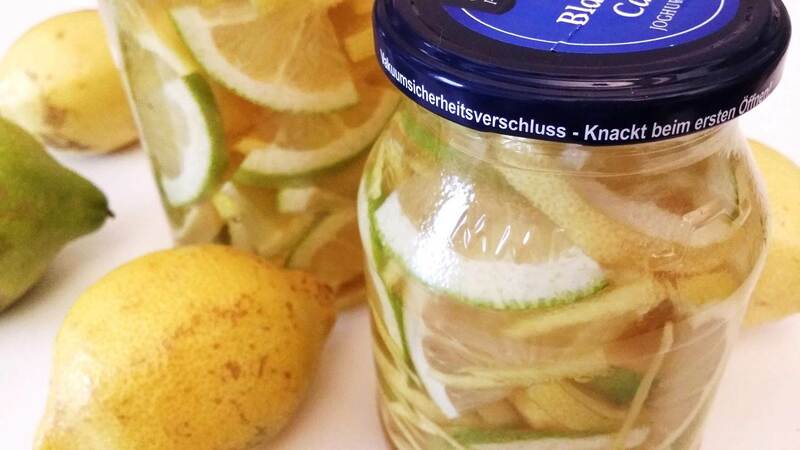 Fill the pot with the lemon slices. 15, and then fill with Organic honey. The second pot is ready! Thoroughly screw the lids. 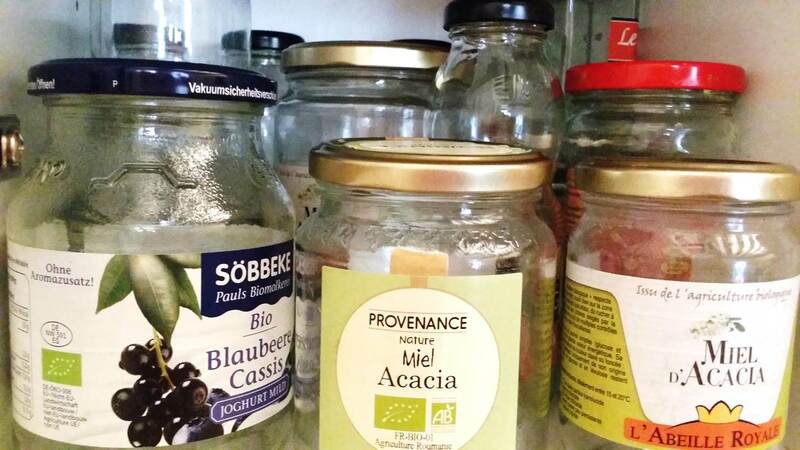 Place the pots in the fridge. It's ready to serve the next morning! 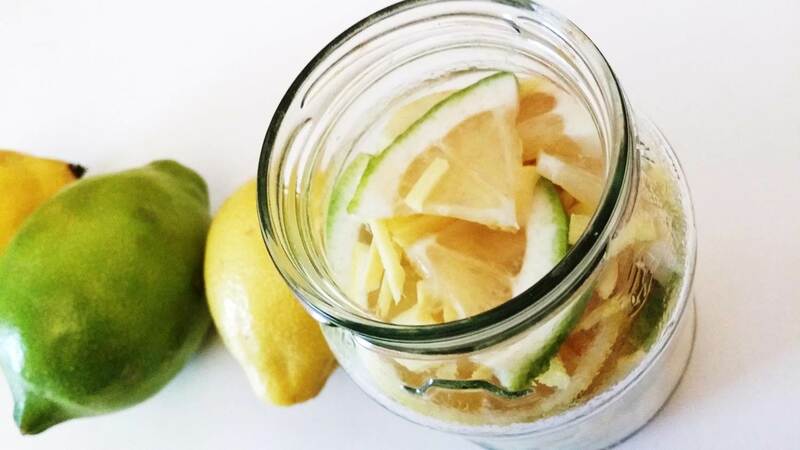 Take three or four slices of lemon and put them in a cup, pour a little juice, add lukewarm water, stir well with a spoon. " Drink it! " Organic tea with honey and lemon is good for health, beauty, cold prevention. Organic tea with honey, lemon and ginger is made especially for Laurent. Laurent often has cold hands and feet. In the morning drinking this tea removes the cold inside the body day after day. Laurent loves it! 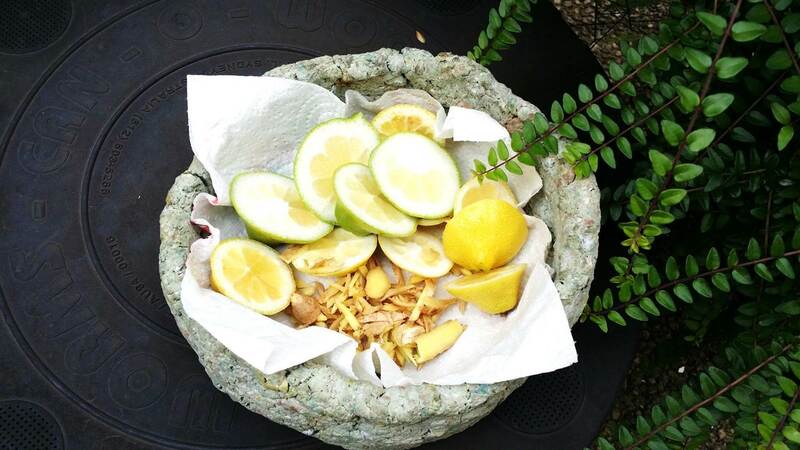 The fauna of our composter also needs freshness. 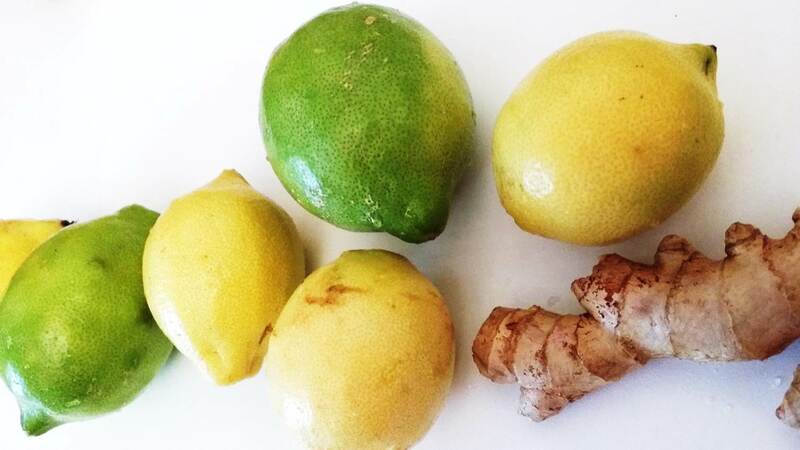 Here is a green fruit salad for them: the skin of organic lemons and Organic ginger ... Bon appétit! * Earthworms do not like acidity. 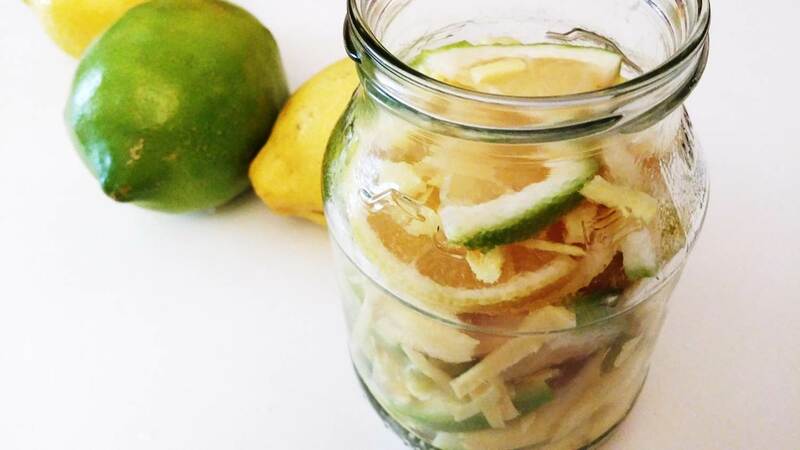 Avoid putting the lemon juice in the composter.